Discipleship is a word that matters to every Christian. Jesus’ great commission is for us to go and make disciples of all nations (Matthew 28:19). But how? For two thousand years, Christians godly men and women have taken the time to teach and walk with other believers in their walk with God. Following Jesus: The Essentials of Christian Discipleship by Andrew Randall may be just the spark you’ve needed to light the fire of discipleship in your life and the life of your local church. What topics come to mind when you envision discipleship? Bible reading? Prayer? Parenting? Work? Following Jesus concisely discusses each of these areas—and many more—with those three convictions and practical application seen throughout. Randall understands that we live in the real world, and brings seemingly ivory tower theology to the coffee shops and front porches of believers everywhere. 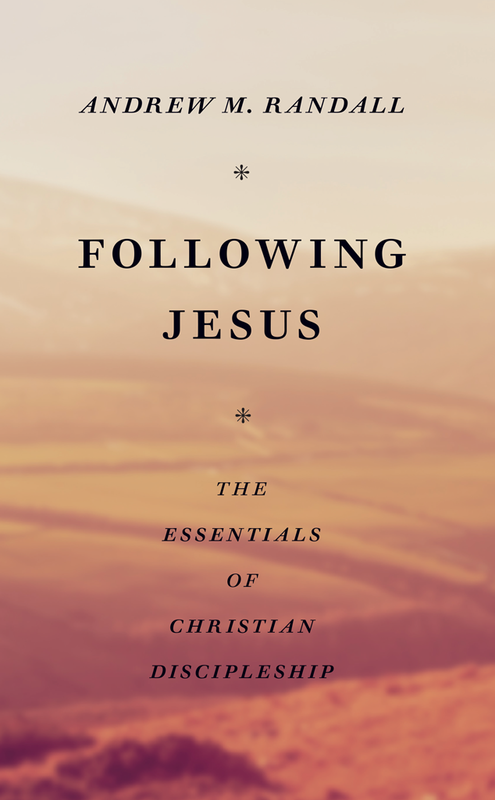 In his chapter on following Jesus in our choices, for example, he takes the theology of the sufficiency of Scripture and brings down to ground level when he says, “…the specific commands of the Bible are a hugely important starting-point as we consider the guidance of God. God has guided us. If we ignore the guidance he has provided, it is not reasonable to guide us further” (p. 102). We don’t need to pray about whether we should cheat on our taxes or walk out on our families because God has already spoken about such matters. Even in the gray areas, we are free to make decisions based upon God’s revealed Word without seeking mystical signs or new revelation. Whether it’s an intense season of suffering or a time to seek renewed vigor in prayer, Following Jesus has some quick-hitting advice for you and the people you’re discipling. If you’re a pastor, church leader, or just someone passionate about discipleship, Following Jesus will be a great book to get into the hands of the believers around you—especially those who haven’t seen much discipleship. If you’re a disciple-maker (aren’t we all?) in need of a good resource, consider this one! *I received a free copy of this book from Banner of Truth. I was not required to leave a positive review.